In preparation for the General Data Protection Regulation (GDPR) which comes into effect on May 25, 2018 across the EU, a number of new functionalities have been added to the Mono Editor that enable you to comply with the new rules for collecting and storing personal data. 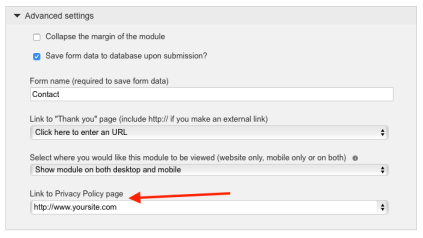 Below we provide an overview of the modules and features you can use for data collection and storing purposes on your Mono site. 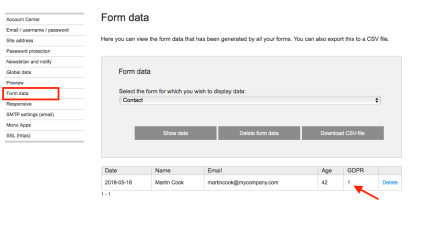 If you have enabled data collection on forms, you can access the data you've collected in My Account -> Form data. There you can clearly see whether the person who filled in a form also consented to your privacy terms. If they provided consent, the number 1 will figure in the GDPR column. 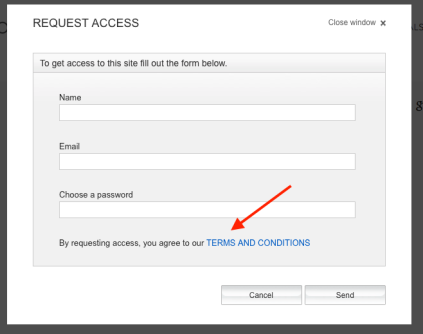 The same information is available in the email you receive when a form has been submitted on your site, if you have enabled email notifications. You can always delete form data you've collected by clicking "Delete" on the individual forms you wish to delete. If you're operating a web shop on your site, you're collecting a range of personal data from customers, such as name, email, postal adress, payment information, etc. 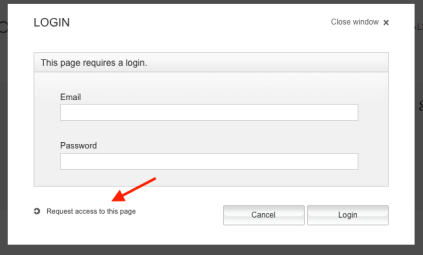 You can view user information in My Account -> Password protection where you can also delete individual users. The information below might be relevant for you to take into account when processing and storing personal data. If you're using the Comment module, you will be storing information about visitors' names, emails, and comments. 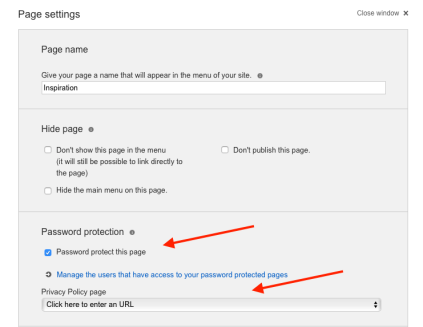 If you're using the Newsletter module, you are collecting personal data in the form of email addresses. Please note that if you're using other email services for sending out newsletters, you may be storing other peices of data as well.